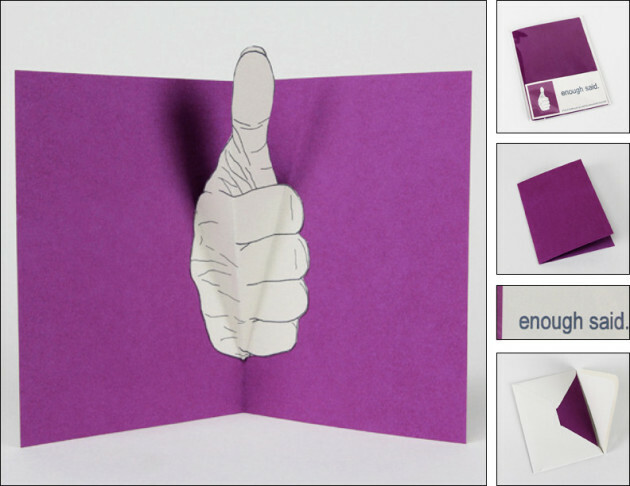 Designer Alessandra Mondolfi has “hand” made enough said., a collection of pop-up greeting cards that simply use hand gestures to get their message across. 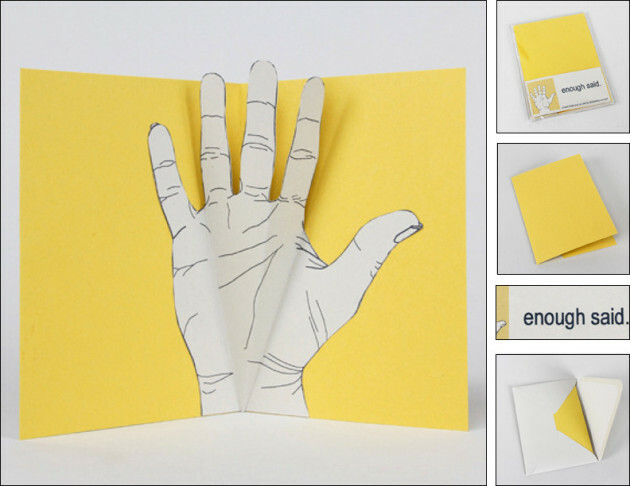 From “The Finger” to a “High Five” (and many more in-between), Alessandra’s cards may be the perfect greeting when words escape you. I have always held my hands in high esteem. They are what allows me to be a maker, a hands on person who transforms materials in order to express myself. 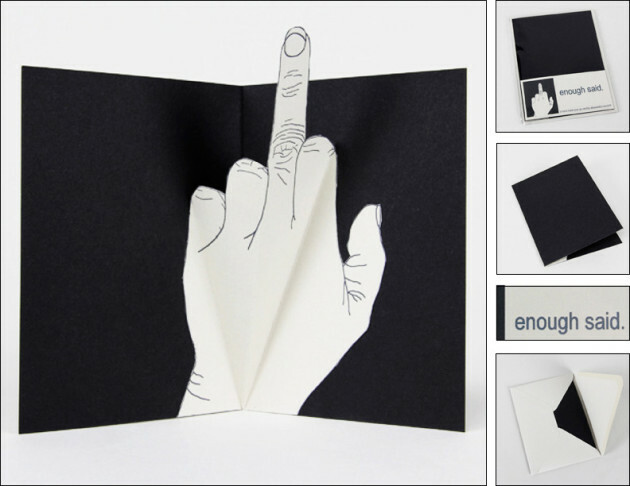 But, I also use them very energetically when talking and have recently been looking at them as a form of communication. 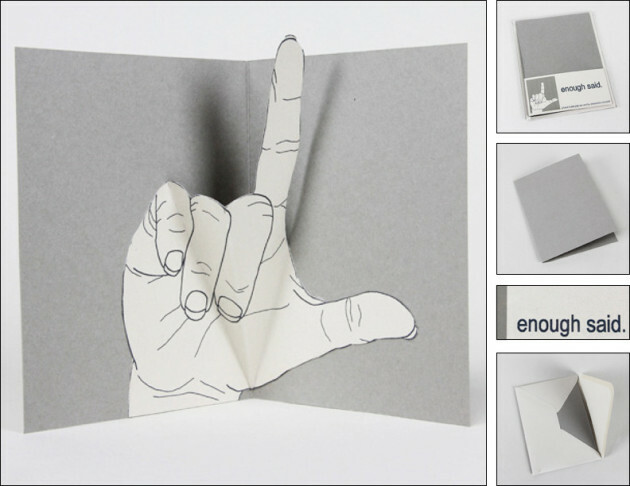 I made these cards and called the series “enough said” because I think no words are really necessary, I hope the graphic nature of them says it all but if you wish to add text feel free to do so.